Pure energy and pure excitement! That's what the Collins Kids delivered during their years together. The sparks that flew between Larry's proto-surf guitar and Lorrie's vocals still burn brightly today. Seven years ago, we issued a boxed set of their complete Columbia recordings. Now we're culling a true BEST OF CD from that set. 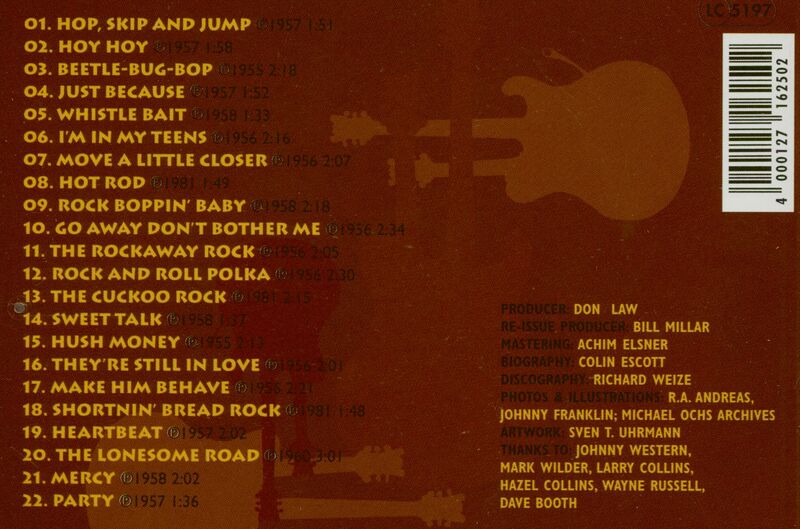 The 22 tracks include such gems as Hop Skip & Jump, Hot Rod, I'm In My Teens, Party, Shortnin' Bread Rock and Hoy Hoy. From Shirley Temple to LeAnn Rimes, there has been a niche for prodigiously talented kids, yet there was always something a little curious about a tot singing adult songs and mimicking adult emotions. Thirteen year-old Brenda Lee singing All The Way, is a good example. 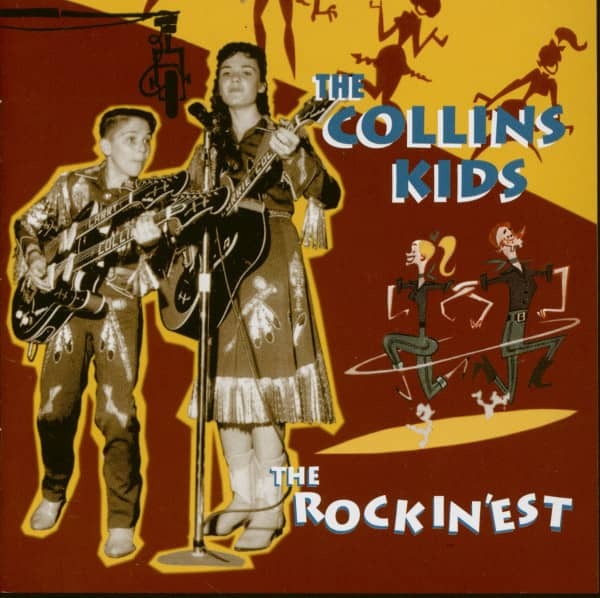 The Collins Kids were very young when they started, but their act never quite had the same whiff of unwholesomeness because the whole point about rock ‘n’ roll was that it was for and by kids. No one made that point more explicit than the Collins Kids. So few child prodigies manage to sustain a career into adulthood. It's true that Ricky Nelson and Michael Jackson made it, although not without scars, but in general, the public loses interest around puberty. So it’s good to report that the Collins Kids, Lawrence and Lawrencine (or Larry and Lorrie) made it into adulthood with a surprising absence of rancor. Larry even saw some of his biggest successes in the music business after he quit jumping round on-stage with his double-necked Mos-Rite. The irony they can’t unravel is that they were one of the best-known acts of the era, but didn’t have any hits. The Collins family lived in and around Tulsa, Oklahoma. Lorrie was born in Tahlequah on May 7, 1942; Larry was born in Tulsa on October 4, 1944. They grew up in a little town called Pretty Water. Lawrence Collins Sr. was a dairy farmer for a while, then operated a crane in a steel mill. 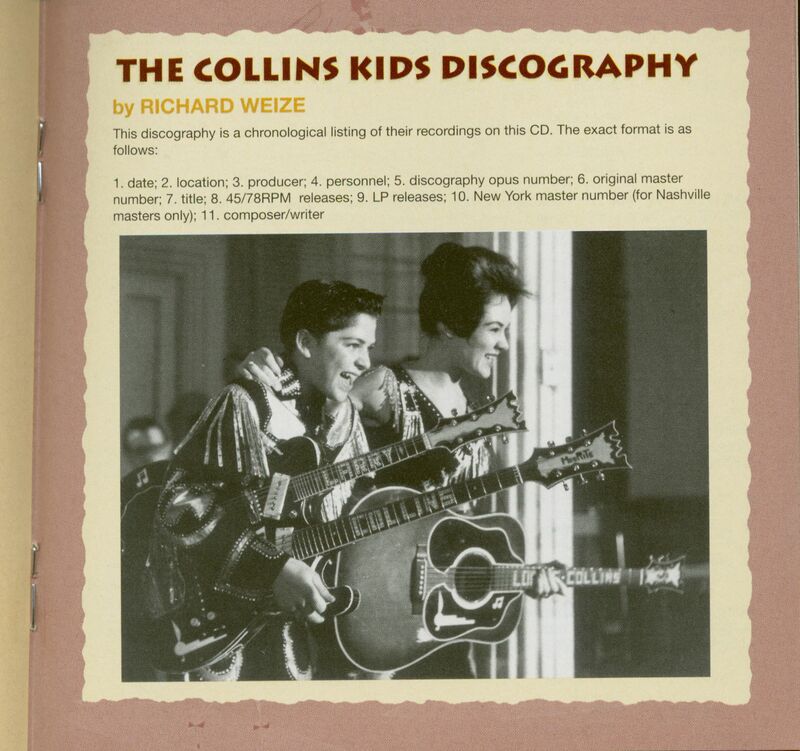 His wife, Hazel, was an amateur singer and mandolin player; she and her sister prefigured the Collins Kids' act on a small scale by performing in school and at church socials when they were in their early teens. Lawrence Sr. didn't have a musical background; when asked, his favourite line was that he played the radio real well. The Collins' oldest daughter, Sherry, briefly contemplated a career in entertainment, but opted for marriage at fifteen instead. Lorrie’s talent was recognized from an early age. Kay Starr and Teresa Brewer were her favorites, not the hillbilly queens of the day. In 1950 she won a talent contest hosted by western swing bandleader Leon McAuliffe in a Tulsa ballroom. McAuliffe told Hazel Collins that Lorrie was good and that California was where they needed to be. In 1952, Hazel took Lorrie to Los Angeles. “We went to talent shows and agencies and they all thought they could do something with her if we lived in California,“ remembered Hazel. “At that time Jimmy Boyd was big, and a lot of kids were on television. 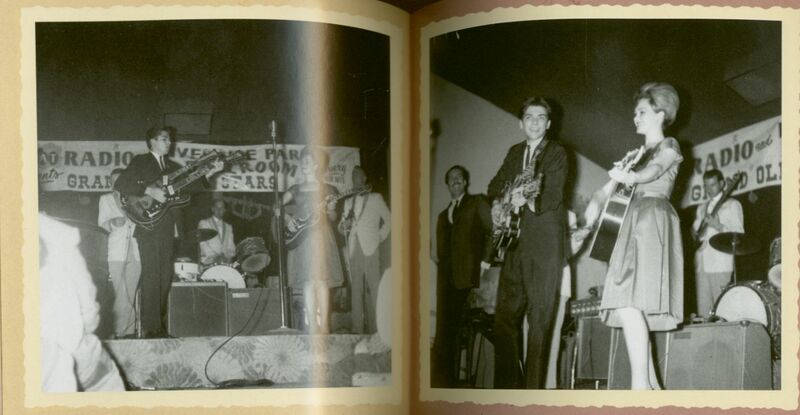 In Oklahoma, there was nothing like that.“ After Hazel and Lorrie came back, they went to the Louisiana Hayride in Shreveport where Lorrie did a guest spot alongside Hank Williams, Johnny Horton, and Billy Walker. There were a few television shows in Oklahoma City, but California was clearly the place. Hazel started putting serious pressure on Lawrence to move. By this point, Hazel and Lawrence, Sr. were thinking about returning to Oklahoma, but the kids wanted to stay in California and keep performing. It was Squeakin' Deacon (a transplanted Tennessean named Carl Moore) who told Hazel to take the kids to Bill Wagnon who booked Town Hall Party. 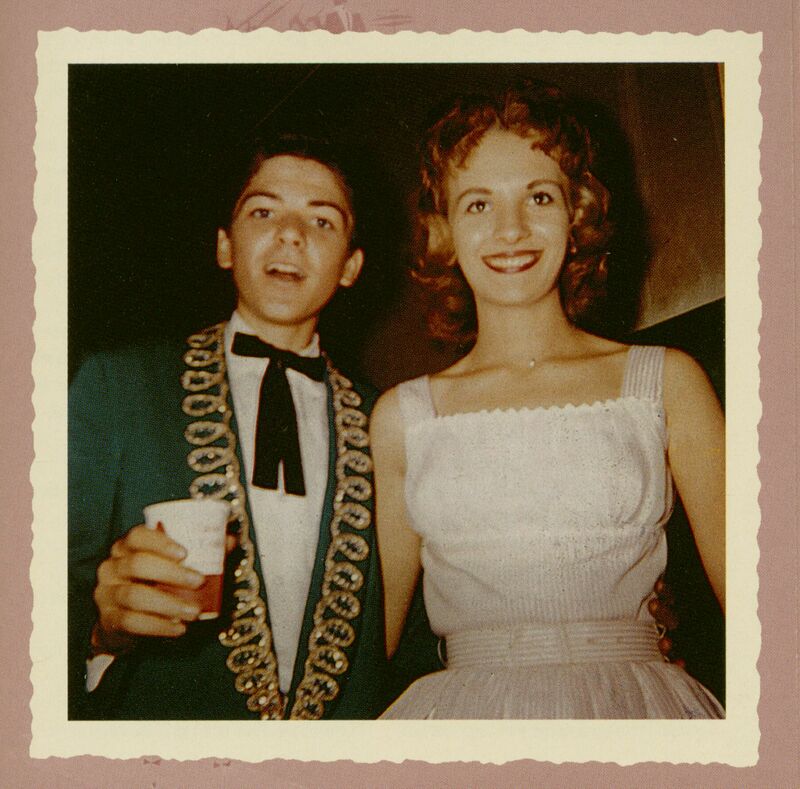 Larry and Lorrie entered a Town Hall Party talent contest one Friday night in February 1954, and were hired to perform on television the following day. Town Hall Party had started in Compton, California in 1951. By 1954, when the Collins Kids joined, the regulars were Wesley Tuttle (the musical director) and his wife Marilyn, Johnny Bond, Tex Ritter and Freddie Hart. 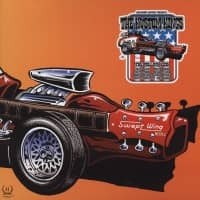 The show was broadcast on clear channel station KFI every Saturday night from 9:00-9:30PM, and on television station KTTV from 10:00PM 'til 1:00AM. Starting January 1, 1955, NBC radio carried a portion. Town Hall Party later went into syndication in 26 half-hour episodes as Ranch Party. 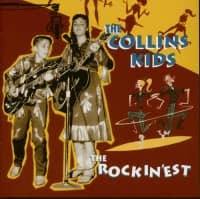 Together and individually the Collins Kids were on every episode. 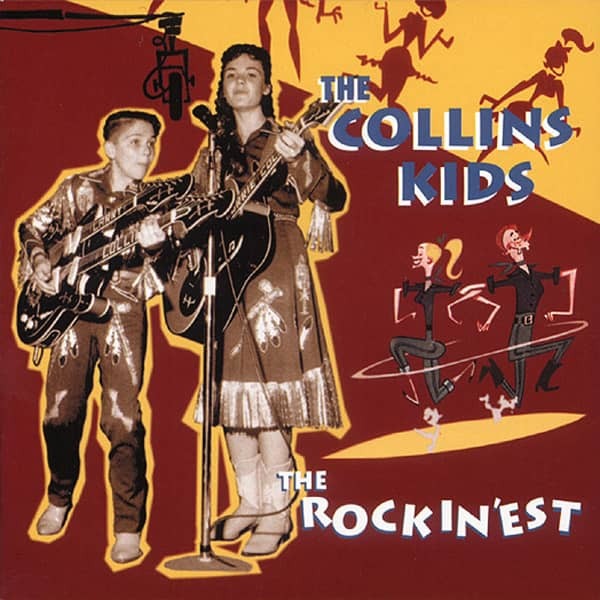 Customer evaluation for "The Rockin'est (CD)"